There’s a lot of games out there and perhaps none are quite as exciting as the game of Roulette and live Roulette in particular. Live Roulette is the only game where you get to play face to face with a dealer and have the chance to make a hundred times your investment or more in mere minutes! If you’re here reading about live Roulette then we’re gonna make the assumption that you already know all about the game of Roulette and only want to hear about the live side of it. To start things off we should say that the rules of live Roulette and the good old Roulette table you’ll find at your local casino are exactly the same so you don’t need to worry about learning anything different it’s only how you play and the advantages you get which are a bit different. 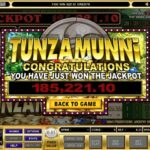 Live casino work through the live streaming media so what will happen is a live camera feed of a dealer and a Roulette wheel will be beamed onto your screen which you can see in real time to play your games with. Not only that you’ll be able to talk to the dealer as you play the games who will reply right away so you’ll be able to get the same immersive experience you’re used to getting. The big difference though is where you play live Roulette as the only limitation on where you can play is your internet connection. That means whether you’re soaking up in the bath, sat on the train, on your break at work, or even sat in a casino you’ll be able to play your favourite games at a moment’s notice! Getting the same experience at a time and place that’s convenient for you is something that every player deserves and it’s why more and more people are making the switch to live Roulette! When you sign up to your chosen live casino and you’re in the live casino main lobby you’ll be pleasantly surprised that there’s a lot of tables for you to choose between. 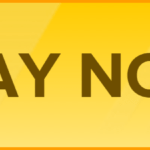 In fact, you can even have upwards of 10 live Roulette tables all being offered up to you by a single site so you don’t even need to move between sites if you find it a hassle! The main game of Roulette will always have a couple of tables running while you’ll also get a handful of variations to try out as well including American Roulette which features the double 0 and jackpot Roulette which can make your wins even bigger than they normally are. When you’ve picked your table the livestream of the dealer and the game will pop up on your screen along with your betting chips and the betting mat. 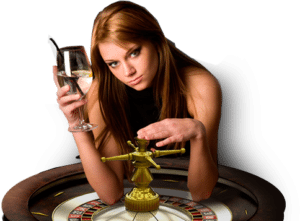 Betting in Roulette is quite simple as all you need to do is click once on the chip you wish to bet with and once more on the betting table where you’d like to place it. There’s also a bunch of buttons here to help you along so you don’t need to worry about making mistakes as there’s things such as a cancel last bet button and cancel all bets button. There’s even some buttons to speed things along such as a repeat bet and double down button too. And you won’t need to feel pressured for time either as there’s a timer clearly running down on the screen letting you know how long you’ve got left to place your bet. If your number comes in then your account balance will immediately be topped up and the betting board reset ready for the next spin. So armed with this knowledge we hope you feel confident enough to get started on your journey into the wonderful world of live Roulette!